Libya - IOM Libya’s community stabilization program has brought 24 participants from southern Libya – 12 from Al Qatrun and 12 from Sabha – to participate in a 13-day intensive Training of Trainers (TOT) programme. The training, held in the Tunisian capital Tunis, aims to support NGOs and CSOs in capacity-building and business start-ups. The methodology is highly interactive and aims to develop skills and habits. “The aim is to strengthen their skills and encourage collaboration as they work to build local community cohesion through social and economic development,” said program manager Sandra Huang. 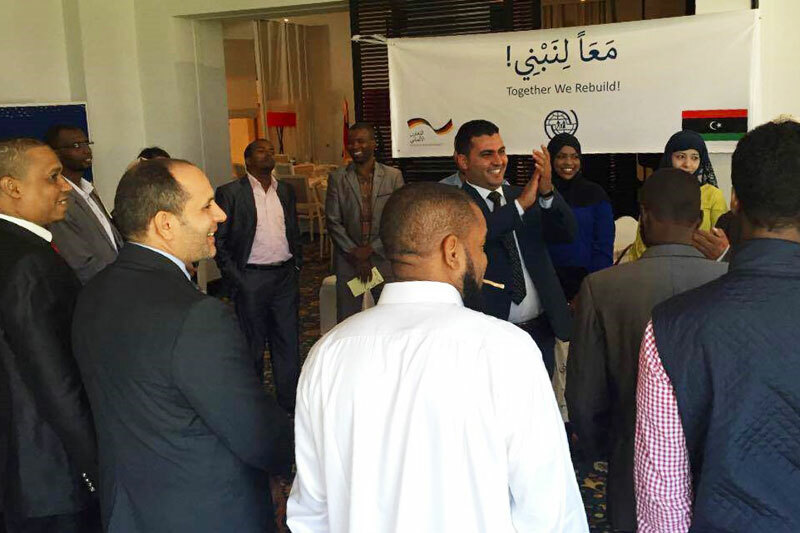 The training, which is funded by Germany, is part of IOM Libya’s community stabilization program focusing on Sabha and Al Qatrun in southern Libya. The program aims at promoting peace and stability for IDPs, migrants and local host communities in Libya, and to build local capacity and promote peace initiatives with local authorities, NGOs and CSOs through training activities and support community dialogue. “The activities consist of different rounds and the goal is to see the behaviour change from one round to another,” said Huang. In addition to business development, the training program includes social entrepreneurship and conflict management.